Migraine Monologues: Am I A Migraineur? I've been casually throwing about the term 'migraineur' without a second thought. It's just a handy word and, because I'm quite lazy, far quicker than saying "I get migraines", "I suffer with migraines" when talking about... migraines. When I've been doing the odd bout of public speaking I have noticed that the medical professionals in the crowd, and the charities I was talking about/to, slightly wince when I used the word 'migraineur'. Why? Some-one with Diabetes calls themselves a Diabetic. Though, that is the only equivalent I can think of off the top of my head. A person suffering with Epilepsy doesn't say 'I'm an Epileptuer', do they? I guess they say 'I'm an Epileptic'? Though (wait, another example just occurred!) people with Autism might be described as Autistic. 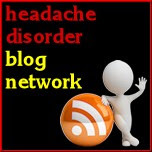 The above diseases do, I believe, have similarities to migraine. There is no cure, that I know of, for any and all have massive buckets of stigma attached. So, using the above examples, why is it so wrong to say - this is a person with migraine, a migraineur? Well, I was really forced to think about my casual sprinkling of the term here and there in our recent Migraine Monologues Book Club chat. We had read 'A Brain Wider Than The Sky' by Andrew Levy - and he refers to himself as a migraineur throughout the book. One of the Book Club members drew our attention to this - and a fascinating discussion about the term began. Some realised that, like me, they'd been using it without really thinking about what the term encapsulates. Saying 'I'm a migraineur' slightly defines you, it irrevocably associates you with the condition. When you're in the throws of Chronic Migraine it does feel like there is no line between where you (as a person) end and the migraine begin. But if you were to introduce yourself at a party, what is the very first thing you'd say to a stranger? Would it really be "Hi, I'm Victoria. I'm a migraineur"? This would be like every alcoholic in the world introducing themselves straight up as "Hi, I'm Bob. I'm an alcoholic." I'm fairly confident this doesn't happen. For we are more than the conditions that pervade our lives. When you've spent three days solid in bed with a migraine, however, you can't begin to imagine ever having outside interests or time/energy to do the things that you enjoy, that make up you. But there's the key... you do have other interests, hopes, books you love, TV shows you're addicted to, friends etc that have nothing to do with migraine. And those are all quite shallow examples of what makes up a person. So, defining yourself as a migraineur confines you to one aspect of your life. Since our Book Club chat I've been quite careful to say "I'm someone who suffers with migraines", or "I'm a migraine patient"...or anything else than migraineur. And it hasn't been as hard as I thought and somehow, does make me feel a bit removed from the migraines - as well as more eloquent. I do think, however, that I'll soon slip back into using migraineur as it's just so damn handy - and I know, in myself, that I'm more than this girl who gets lots of migraines. I've decided to believe (though this is probably not accurate at all) that the word entrepreneur has really been tacked onto the word migraine. I, therefore, am a migraine entrepreneur - venturing out into pastures unknown, researching this condition, trying to live my life to the fullest despite what the buggery M throws my way. So migraine + entrepreneur = migraineur. If this is so, then I'm happy to call myself a migraineur. Are you? What about you. How do you feel about this word and how do you introduce your condition to new people? I agree, Victoria. It is a nice shortcut when talking medically, but please don't let it define you. Like so many things, it's your mindset that counts. You are so much more than your medical condition. Hm, interesting post! I quite like the term and find it elegant... But you're right I wouldn't use it in conversation and - thinking about it- I don't think I've ever used it in speech, only writing. I agree wholeheartedly with the commenter above, that migrainers are more than a bundle of malfunctioning nerves..... but we are also a) writing down thoughts on an online forum and b) brought together by an interest in migraine and its effect on people's lives, I'd expect a degree of openness to complexities/subtleties on the identity question. And obviously welcome conversation via a post like this! Basically I think its ok to use such a shorthand on the site to avoid repetition but I can see how distancing yourself psychologically might be necessary on a day to day conversational basis in terms of how someone copes. 'I get loads of migraines' (and variants thereof) maybe seems like a mouthful but actually in conversation feels much more accessible and real. Especially if I'm introducing the fact that my migraines are really chronic to people, I try to use words and phrases that are fairly low-key so as not to freak people out or alienate them too much....! I'd be interested in hearing about the reaction at your public speaking engagements. 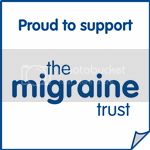 I've not really encountered non-migraine sufferers who've known the term (maybe that's because I've never used it!). I do use the word but only when I'm writing about migraines and I have sort of appropriated it to make it more friendly-seeming. In that sense, I suppose it does define me sometimes, but only in that small area which in which I choose to let it! In French words ending '-eur' denote a profession, role or craft that is male (the word that is, not necessarily the person doing the thing) so to make it feel more feminine and glamorous (and...french?) I call myself migraineuse. Because migraines make you feel so feminine and glamorous, ho ho ho! in french we do say migraineur (for a man) and migraineuse (for a woman). i know i am one. Interesting insight. I use migraineur as an alternative to migraine sufferer, which I DESPISE. Sufferer makes us sound like victims and I refuse to identify myself or others with migraine as such. While migraine is a large part of who I am, it doesn't define me, nor do I think the term migraineur implies that it does. Hi there- you are a brilliant migraine entrepreneur and I salute you ! Just met you this a.m. thanks to Kerrie at the Daily Headache. I am a "Migraineuse" and have worked in the field of disabilities and inclusion, including U.S. statutes and regulations (including a few legal snafus of my own) for the past 33 years or so - my REAL job being an Early Child Care Educator and Pedagogista. Anyway come to find out I am becoming more and more a person with "different abilities" or "disabilities" than ever before; my symptoms having transformed from episodic to chronic person with migraine disease - in other words- I can apply my theories to myself and experience the discrimination and marginalization I've worked against for others all these years! Anyway- on this topic- in the U.S. Disabilities Advocacy community, we advocate for person-centered language. Please see the attached brochure for more information. I suppose that to be p.c. we are Persons with migraine disease. Personally I abhor migraine in the plural- one does not have "migraines" or "A migraine", one has migraine disease. The 8th edition of Guidelines: How to Write and Report About People with Disabilities and its companion poster, “Your Words, Our Image,” are now available from the Research and Training Center on Independent Living (RTC/IL) The University of Kansas. The Guidelines brochure is intended to help writers, reporters, and others use the most accurate words and current terminology when talking about people with disabilities. Chemical and/or electrical sensitivities describe chronic medical conditions characterized by neurological impairment, muscle pain and weakness, respiratory problems and gastrointestinal complaints. Reactions for those with chemical sensitivities are triggered by low-level exposure to everyday substances and products including pesticides, solvents, cleaning agents, new carpeting and adhesives, and fragrances and scented products. Electrical sensitivities are triggered by electromagnetic fields from electrical devices and frequencies. These conditions are also called toxicant-induced loss of tolerance, environmental illness or sick building syndrome. Use person with chemical intolerance or people with environmental illness. People with this condition should not be called chemophobic or described with the term idiopathic environmental intolerance. Consider sharing these documents with the media, local officials, and others to help them understand these disabilities. You can download copies at http://www.rtcil.org/guidelines.shtml. An order form to purchase copies of the brochure and/or poster is available at the website. Hi Suki! Thank you so much for all of this - I do think that we can learn so much from other chronic conditions - which is why we looked at a film about Parkinsons in our book club last month. And I LOVE Kerrie's fabulous blog, it is one of my favourites! We could, however, also have a debate about the use of the word disease? I've noted that in the UK people hardly ever refer to it as such....hmm I feel a blog coming on!